Happy Summer to you! We hope you are enjoying the season of trips to the beach and barbecue cookouts with friends, the days of outdoor concerts, dips in the pool, long bike rides, and lazy afternoons filled with good books, a tall glass of lemonade, and maybe even a nap! Since eating outside is probably one of the most popular activities during these sun-filled months, we decided to devote July’s “How I Wear My” to the Summertime Picnic Look. What I love about this theme is that it’s open to interpretation depending on what kind of picnic you are planning and all these wonderful summer clothes remind me how glad I am that the harsh winter we experienced in NYC is most definitely over. Enjoy this quintessential summertime post! 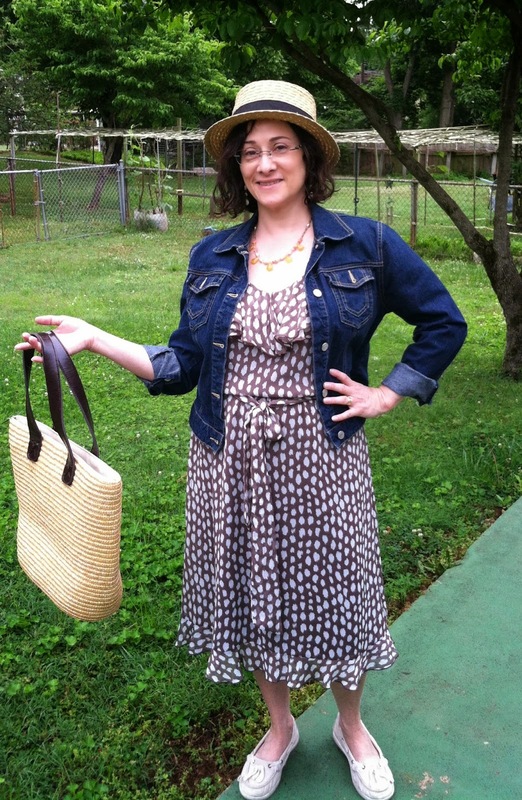 Adrienne of The Rich Life (on a budget), above, my lovely “How I Wear My” partner, recently got to picnic at a winery, lucky lady! 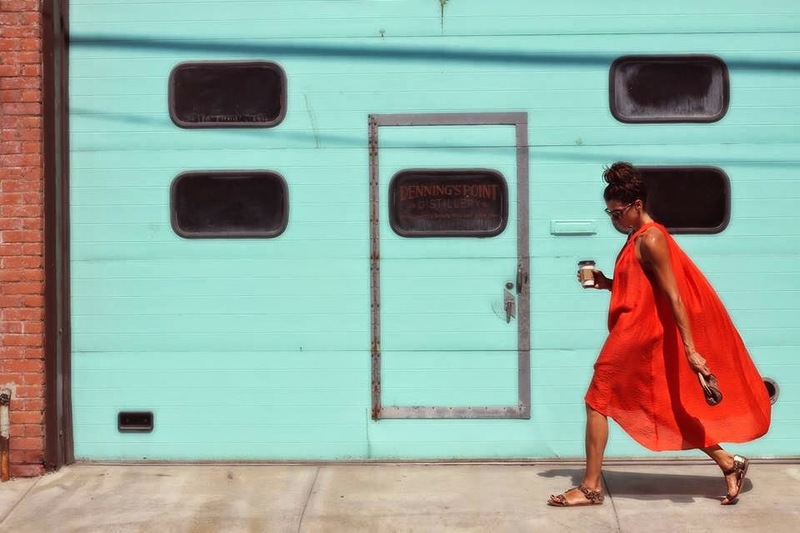 She is wearing a teal strapless maxi dress she bought in Kauai a couple of years ago with a J. 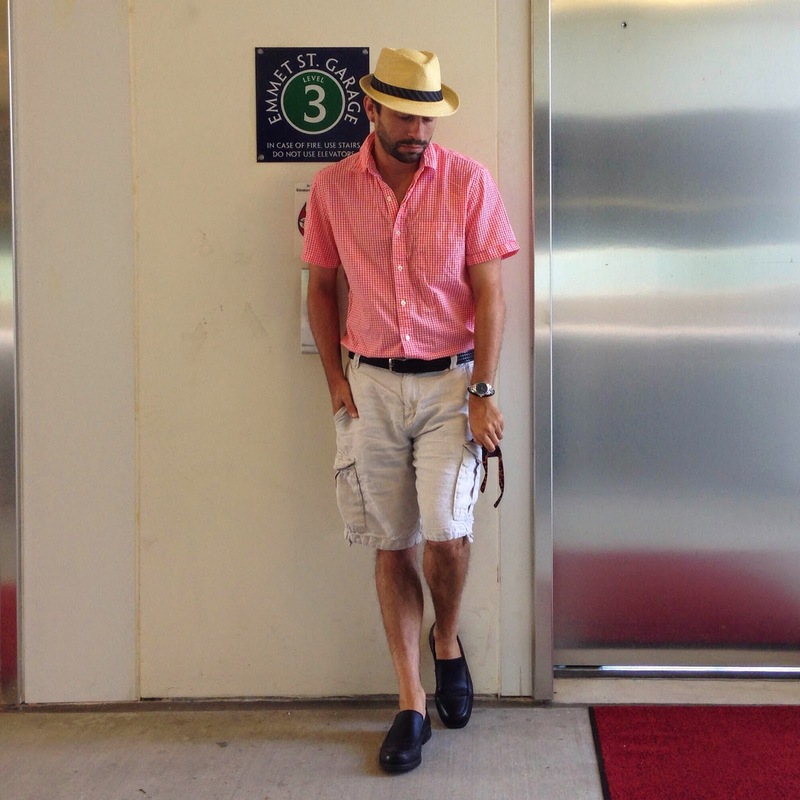 Crew Jackie cardigan, Haviana flip flops, and a Panama hat. 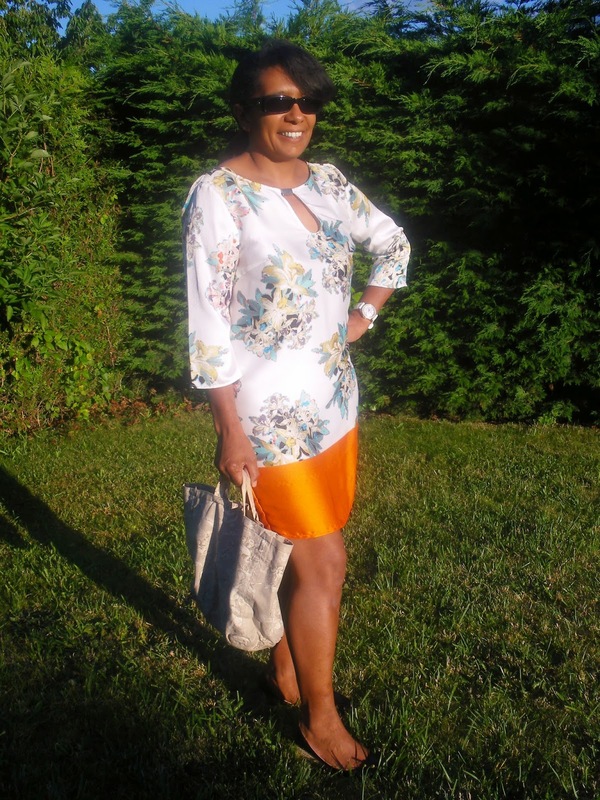 I love the easy summer glamour of this look and raise a toast to her! This is now my new favorite picture of Sheree of It’s Not That Deep. It looks like an image straight out of Vogue and doesn’t she seem like a Greek goddess amongst us with her flowing orange dress, sandals, hair piled high atop her head, and those legs, my God, those incredibly tanned and toned legs! The dress is actually a cover-up from H&M, can you believe it? She makes it look amazing! Oh do I love this look so much. It is vintage and modern all at once and that is a gorgeous (and huge!) basket. I want to picnic with Dawn Lucy! I really think Nora of Jacket Society could teach those young things at Coachella, the annual music and arts festival in Indio, California, a thing or two with this knockout ensemble of Zara white moto vest, khaki Rag & Bone jeans, Gucci belt (love! ), amazing (and unusual) gladiator sandals, bronze bag, and all that great jewelry. This is picnic chic with a rocker edge and I love it. Take notes, all you twenty-year-olds! I absolutely adore this romantic picnic look on Veshoevius. She looks so lovely! I love the accessories Cynthia chose to pair with her striped T-shirt and shorts; I’m crazy for that statement necklace and clutch! I agree with Suzanne about pockets and about how ideal this dress is for a picnic, certainly a romantic one with wine and flowers included! I really like that Alice wore gingham with lace, I think it’s pattern mixing at its finest! Lana of Two Teens and Their Mama. I see a similar look around here in Brooklyn quite often so I know this is a classic picnic look that works from sea to shining sea! Madeco of Au fil des jours. I love both the deep color and sheen of the orange in the dress. I also love the fabulous bag, especially that Madeco made it herself! 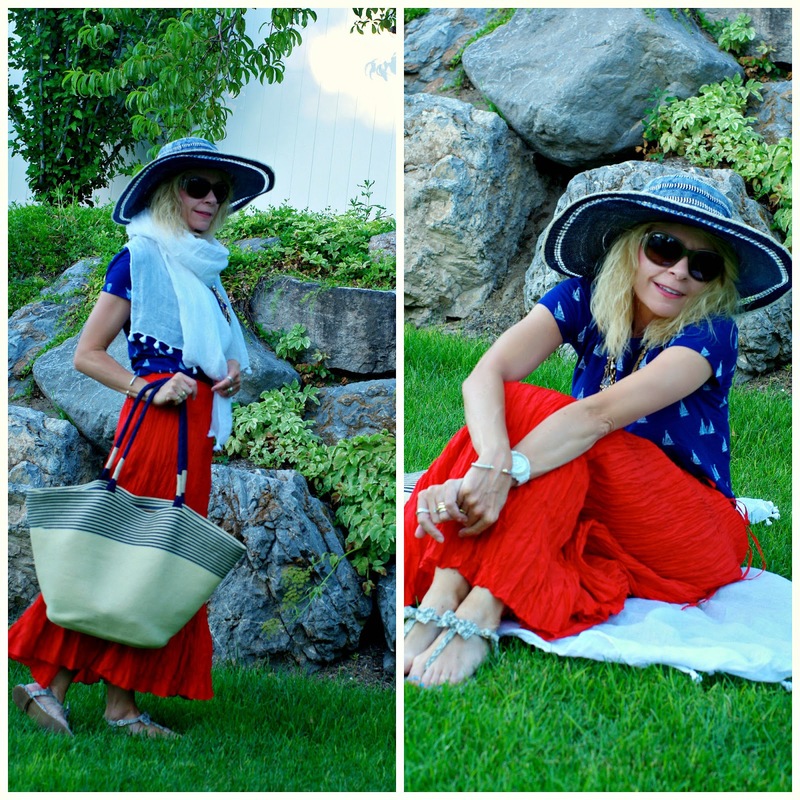 I really like Linda’s nautical-inspired picnic style. It makes me want to go on one of those booze cruises around the New York harbor that my husband and I used to take when we first moved to Manhattan. This look would be perfect on one of those trips! Karen of Fashion Tip of the Day. This would also look so cute at an outdoor music concert. Karen is ready for watermelon and some music! 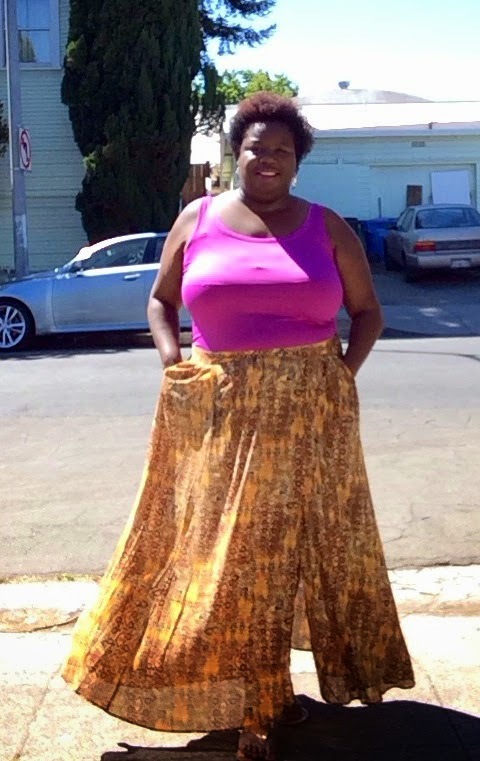 Malia’s picture is reminding me that I don’t own a single maxi skirt right now, but I need to correct that situation pronto since her skirt looks so flowing, colorful, and comfortable! With the 4th of July just two days away I love this bold use of red, white and blue on Trina. And are those little sailboats on her blouse? Love! Terry of Terry’s Two Cents. Terry of Terry’s Two Cents has been showing some terrific outfits for June, many of them perfect for a picnic, but this was a particular favorite of mine because of his gingham shirt, the hat, and especially the black loafers, which remind me of what a foxy Italian man would wear in Rome in summer too. I know exactly what Deja is talking about—any time I’m in San Diego and headed to the beach at the end of the day I bring a sweatshirt because once that sun goes down the temperature drops immediately! I love the California cool of this picnic look and wish I could join Deja at the beach. My fearless photographer Gwynne and I decided to drive out to world-famous Coney Island here in Brooklyn for pictures. It may be a tourist destination for visitors to New York City but Coney Island is also heavily used by locals and I can promise if you go you will be outnumbered by real New Yorkers, unlike Times Square, which is populated by people who don’t live in any of the five boroughs. My picnic was quite simple and included two of my perennial summertime favorites—prosecco and strawberries. 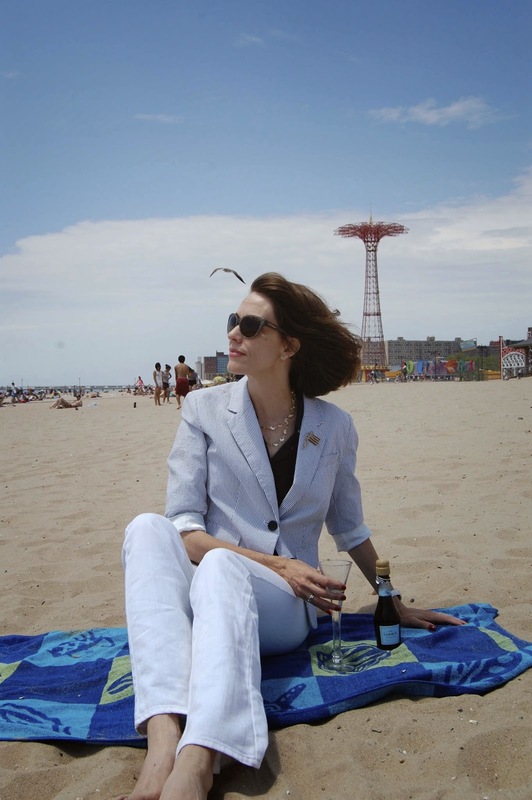 I toted my own champagne flute out to Coney Island to add an elegant touch. There is nothing like drinking prosecco and eating strawberries on the beach! I protected my strawberries in plastic before enjoying them. Not so pretty but necessary. Coney Island can be one dirty place, let me tell you. 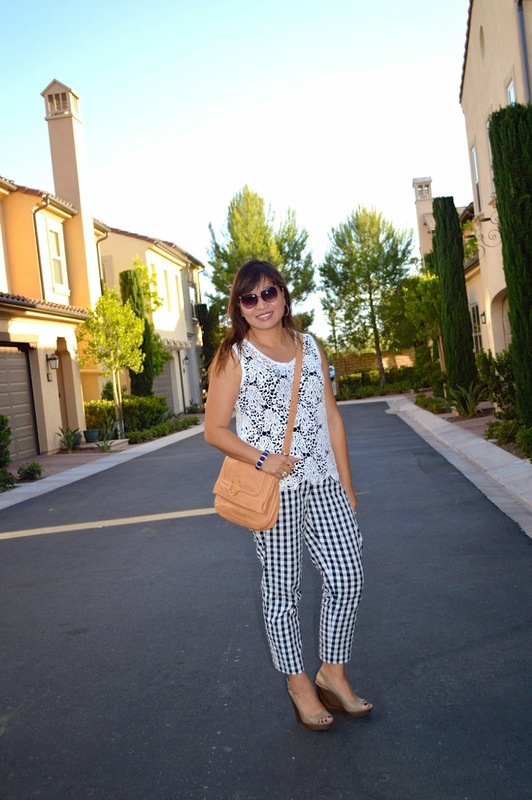 In my Old Navy white jeans, J. Crew linen shirt, and Banana Republic seersucker jacket I was easily the best-dressed and most covered-up person on the beach. The sunglasses are by L’Wren Scott, an eBay find and from the last collection she designed, and have quickly become my favorite pair. The flag pin is vintage Avon, from the 1970s, given to me by my paternal grandmother and one of my most beloved pieces of jewelry! Kids always love the sprinklers on Coney Island. With the Parachute Jump behind me. A little history of the Parachute Jump, which is behind me in the above photograph: It was built for the New York World’s Fair in 1939 in Queens and was moved to Coney Island in 1941. It is not in use as a ride anymore but it is still considered a Brooklyn historic landmark. I hope you have enjoyed at least one picnic so far this season! Summer is definitely the time for white clothes and they are such an easy way to add a bit of glamour to hot weather dressing. So pick your favorite white garment or accessory, whether it’s a dress, jeans, sunglasses or even a pristine white bag, and join us in August for “How I Wear My: White.” We will accept photos until August 4, 2014. You can send them to us at howiwearmy@yahoo.com. 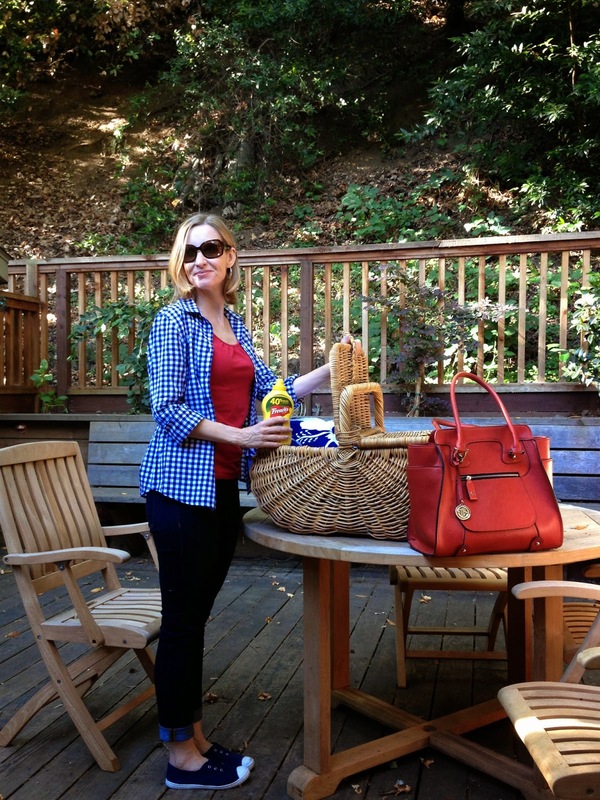 Do stop by Adrienne’s to see the other fabulous picnic looks. And thank you to all the fine foxes who joined us this month! All photos of me by G. Keresty. Jill, I LOVE your Coney Island pics! So perfect and summery. You are one classy picnicker, pretty lady! You can come to my picnic any day! Thanks for hosting another great round up. This was such a fun theme! What a great roundup this month! It's fun to see how everyone dresses for picnics. It's given me some ideas since I am a regular picnicker! Really looking forward to WHITE next month. That is going to be fantastic! the seersucker jacket and white trousers look fab! Picnicking on Coney Island? You just made us all a tiny bit, no a whole lot, jealous. Looks wonderful and dreamy. Perfect picnic attire for this outing. This was such a fun theme! Thank you for hosting this fun feature. Wow Jill...you are bringing some serious style to the picnic! Love it. Lots of panache. Jill, that last picture of you on the beach is my favorite!! I love how you styled it and your outfit...all of it! Fun event this month...sorry I missed it..all my photographers were in Alaska! Poor planning on my part. You look amazing in the last picture! Love the seersucker and white denim on you. I love that you had your picnic on the beach in Coney Island. And LaMarca is my favorite Prosecco, I'm thrilled they started selling individual baby bottles. Guess what I'll be bringing to the beach this summer? Thank you so much for hosting this fun post this month! I loved everyone's look, and I agree that there are so many fun interpretations of the picnic theme. Love your look for Coney Island - how fun! Another great series Jill, gorgeous and fabulous looks. Such an elegant picnic look!! That's how to do it up in style. Only u could look so perfect in a seersucker blazer at the beach!!!! I am a sucker for little boys in seersucker suits :) If I'd had boys I would of made them wear them. Thank you ladies for such lovely comments. You have made my weekend! great summer time looks! Your Coney Island look is perfect. Love the jacket. 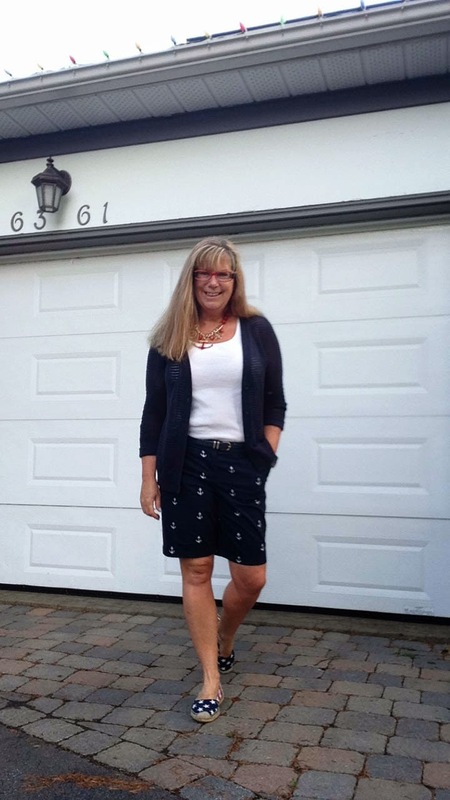 Thanks for hosting another great "How I Wear My" edition. I just love the fact that the looks range from casual to dressy. Love that seersucker jacket with the white jeans, such a classic summer look. I love this blog so much!!!!!! !